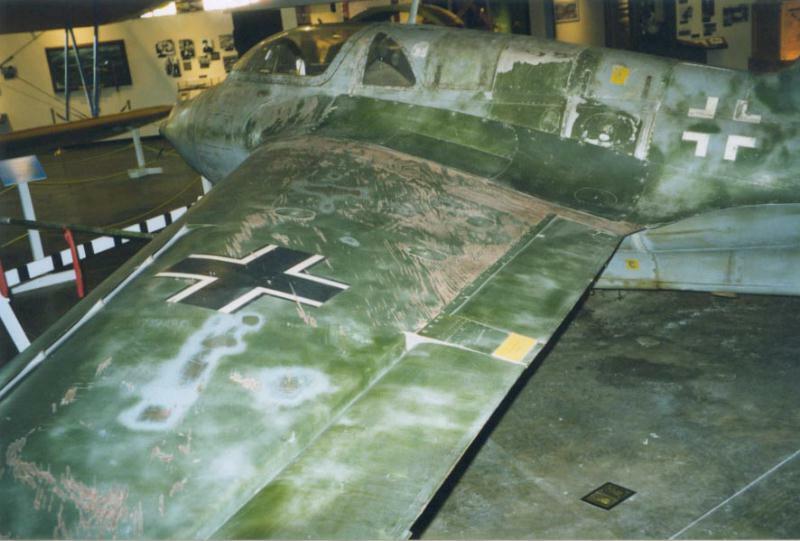 Detail view of the left wing and fuselage, showing the extreme weathering of this aircraft. The wing root looks to be scratched down to the plywood. Left of the wing's iron cross it looks like some sanding was performed, possible to find original colors? The gun bay panels have retained their colors a lot better than the rest of the fuselage, but they might have been exchanged. Almost the whole left fuselage side seems to have worn down (or weathered) to a color similar to that of the underside.